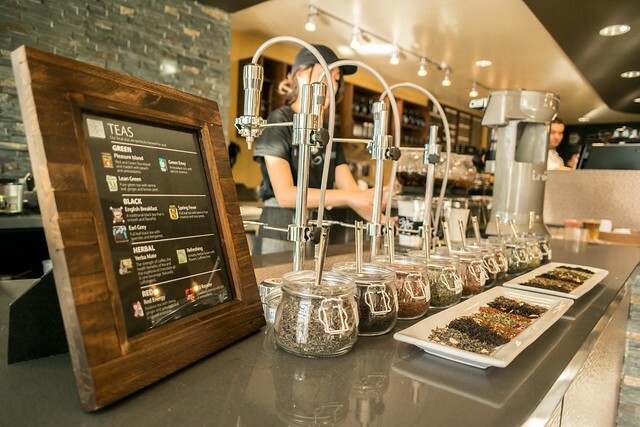 Enjoy cold brew coffee and tea from the serve-yourself tap wall. Purchase an RFID sticker, then skip the lines, fill up and go. Our Mod Bar creates a consistently steeped cup of tea. Be sustainable: bring your own mug and receive 25 cents off most beverages or use an in-house mug or mason jar. Located in the heart of Alcala Park, adjacent to the Immaculata, is USD’s award-winning coffeehouse. Always abuzz with activity, Aromas is the perfect setting to enjoy a beverage with friends without having to leave campus. We are proud to serve local, alumni-owned, organic Ryan Bros. Coffee. Choose from an array of espresso beverages, cold brewed coffee, teas, gourmet baked goods, savory and sweet crepes and galettes made fresh to order, and grab and go. We also have complimentary WiFi and board games to play in house.